Using wind energy to supplement your energy bill is great if you like having a big ugly propeller sticking out of the top of your house. Which I don't. Everyone knows that looks are priority #1 when it comes to sustainable energy; why do you think Al Gore spends so much time in a tanning bed? 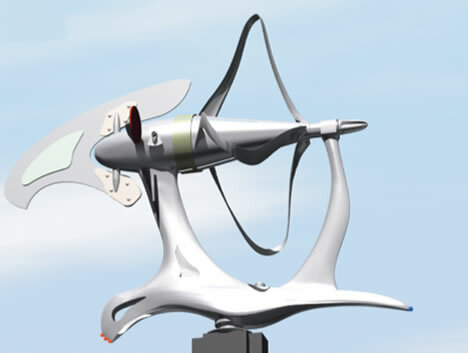 My anti-wind energy stance may change, however, with the introduction of the LoopWing Wind Turbine from the land of the rising sun. It looks purty, don't it? It's set to be unveiled at Japan's Eco-Products 2006 Exhibition on December 14th.